I recently downloaded the Island Paradise expansion pack digitally. I'm not sure if downloading it digitally from Origin is the cause, but my game freezes every 10 or less seconds and stays frozen for about 5 seconds. Everything moving around my sim keeps playing, but my sim just stand there frozen. I just don't know why it's doing this. It's never happened before. This is also my third expansion pack. And I know digital downloads, they download to your hard drive and you don't need to use the disc anymore. Is that what is possibly making it freeze? Please and thank you for your help. 257 people had this problem. I don't think it would be digital downloads but it could be you don't have enough RAM memory running it's happened to me before and I need more RAM and a new grpahics card but before you go out and buy this stuff, (because it's expensive) check your RAM rate and if you have a graphics card. It would be useful to know if you have a laptop or a desktop computer and how old/new your PC is. Islo Paradiso does have a lot of problems. Routing issues and the large world with an entire routable ocean are just an example. Use the cheat DiscoverAllUnchartedIslands to make all islands visible. I'm aware that this takes away from the fun but it seems to help some. Check for any aboandonned boats in your game and delete them by using testingcheatsenabled true and then shift-click on the boat and choose object-delete. I just got the same expantion mine does the same thing your is, ram is not a problem with my computer. @angiidoll Thank you for that input. I just got the island expansion and my game is doing the same thing. I downloaded it from orgin too. I've never had it freeze before but other people are saying theyre copied are freezing too so i think the expansion pack is just glitchy. 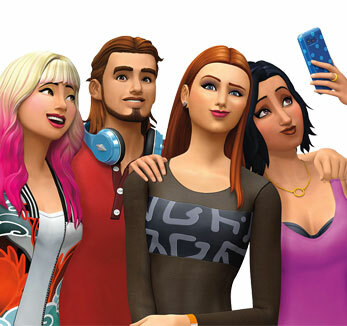 Check out our Sims forums for tutorials and all things Sims.